A brand-new Xerox colour photocopier had just arrived at one of Cambridge’s industrial labs. It was the early 2000s, and word of the new-fangled contraption quickly got around – including to computer scientist Markus Kuhn, then a PhD student. It didn’t take him long to decide on the best way to test its abilities. “We were students,” he recalls with a laugh. “We went straight for the banknotes.” (Don’t try this at home – the photocopying of banknotes, in the UK and in other countries, is illegal). Kuhn placed a British £20 note on the glass surface to scan. He closed the lid, pressed the copy button and waited. The copier whirred. But no colour reproduction of the note appeared in the tray. Instead came a message printed in various languages – explaining that copying banknotes was illegal. Kuhn looked again at the £20 note. The pattern was there, too, but on the front of the note it was hidden in a motif of printed music: the circles were printed as the heads of the musical notes. So a recurring pattern of five circles existed on sterling and euro banknotes, on both the front and back. Other currencies around the world, it soon emerged, were printed with the same pattern. But since different notes varied their colours and orientations of the patterns, even across different denominations of the same currency, how did colour photocopiers pick out the pattern each time? Kuhn began to investigate. At first, he drew the pattern in isolation on a blank piece of paper, printed it and tried to photocopy it. When it was a black-and-white pattern, the photocopier reproduced it without quibbling. But when Kuhn coloured in the circles, the anti-counterfeiting message was churned out instead. “There appears to be some circuitry that requires the circles to be present in a colour channel, not in a black-and-white channel,” he says. Kuhn named the pattern the EURion Constellation after the astronomical constellation of Orion, which it resembles. Although Kuhn thinks colours are one key part of the code, others have suggested that photocopiers are also looking for specific distances between the five circles. Kuhn has not been able to independently verify this theory. The precise means by which copiers and scanners recognise the pattern remain a mystery. One clue, though, comes from a document published by India’s Bank of Maharashtra, which suggests that there is some kind of mechanism for detecting the circles in a different colour to that seen by the naked eye. “The highlighted portion […] in the banknote when photocopied will exhibit a different colour distinct from genuine banknote,” the document reads. It seems that SSG-2 refers to the method by which the pattern is transferred to banknote paper during printing. In an email, however, Jayaraman said that the specific machinations of the process are not known to him. 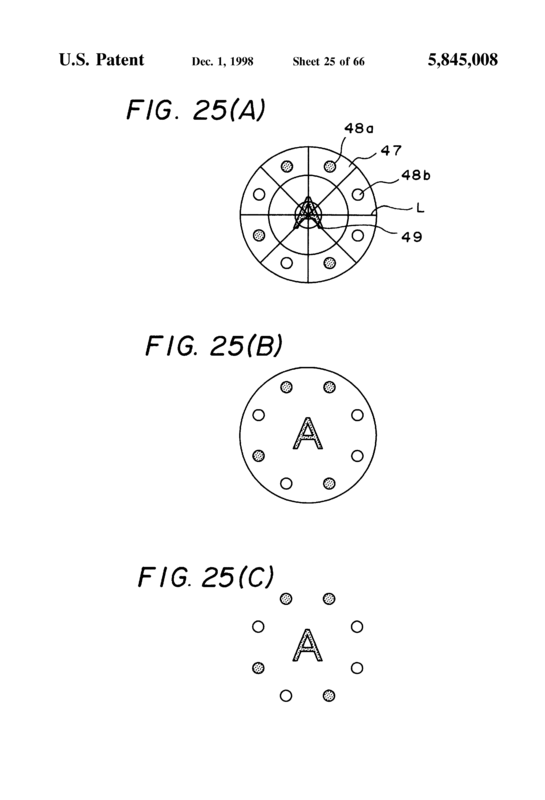 A string of public patents provide further evidence that Omron is indeed behind the EURion Constellation. This one, filed in 1995, states that “marks are detected which are arranged in a given spatial relationship in image data printed on, for example, bank notes or negotiable securities.” An image attached to the patent shows a pattern that is conspicuously similar to the EURion Constellation, albeit with the central circle missing. Indeed, the Bank of England’s Cleland says the greatest source of counterfeit notes are the sorting machines used by “wholesale cash handlers” – those who distribute cash to and from retailers, banks and ATMs, for example. 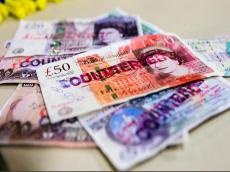 Other codes may affect photo editing software like Adobe Photoshop, preventing users from editing images of banknotes. This has been investigated by Steven Murdoch, a computer scientist and former student of Kuhn’s. Murdoch believes image editing programmes are detecting something other than the EURion Constellation: adigital watermark invisible to humans. A method for doing this is described in a patent by Digimarc, the company believed to have developed the technique. Digimarc has also filed other interesting patents in this area, such as one which describes a method for secretly recording whether a computer user has been working with images of banknotes in a photo editing programme. Law enforcement agents could later retrieve such data after seizing a suspect's computer. And Steve Casey says it’s ultimately better to restrict counterfeiting to dedicated and more easily traceable cells, rather than many pockets of amateurs all having a go. “What a central bank doesn’t want is hundreds of counterfeiters across the country. They don’t want people able to set up their little photocopying operation and then move on.